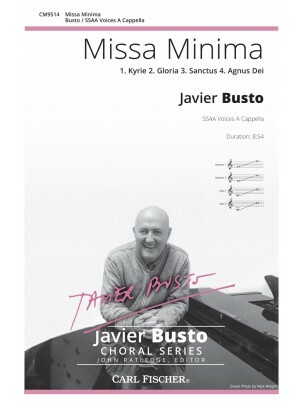 This work by the Basque composer represents the beautiful tender musical feeling of Busto's sacred works. Composed for the Tapiola Choir, the theme for this work is "For The Peace", describing in its three sections how provocation and violence are turned into understanding and peace. O Magnum Mysterium exemplifies quintessential Busto choral writing through varied textures and tempi with poignant harmonies all of which depict the sacred text O great mystery. For advanced mixed choirs and appropriate for any concert and festival setting. 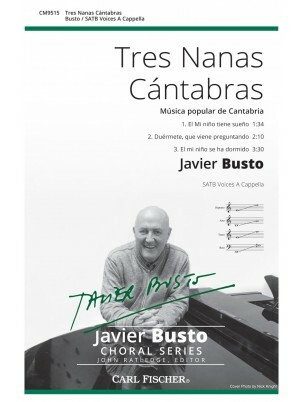 Javier Busto's Tres Cantas Cantabras for SATB a cappella, edited by John Ratledge, was written with a strong desire to "not ruin such beautiful popular melodies." In the first lullaby, the child is being put to bed, while the second lullaby represents the child being warned that the boogeyman is coming. In the third and final lullaby, the child finally drifts off to sleep.